Lahore, Punjab Public Service Commission Lahore conducted PPSC Sub Inspector Cooperative Societies written exams 2018 on 18-11-2018 for Bhakkar district. 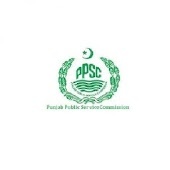 The exams department of PPSC declared the PPSC SICS written test result 2018 online and the candidates will watch the complete updates of PPSC SICS Result 2018 Written Exams online with the detail of marks and status of the students during the written test. The candidates will receive their call up letters for the interviews through SMS or email and the candidates will ensure to attend their interviews.